THIS. BOOK. It is seriously intense, my friends. Thomas arrives in the Glade with no memories. He knows how to speak, how the world works, and what things are, but when it comes to specific people, places, or memories, he has nothing. The day after Thomas arrives, a girl shows up in the Glades, the first ever. She says one sentence before passing out, "Everything is going to change." In her hand, the Gladers find a note that says, "She's the last one. Ever." Thomas doesn't know the girl, but he can't help feeling that he has some sort of connection to her, somehow. The same sort of feeling he gets when he first sees the Runners. 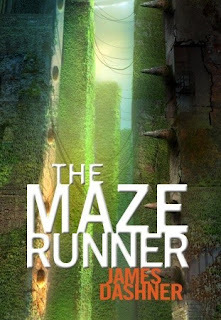 The Runners are the group of Gladers that run out into the maze every day, always searching for a way out. They've been running for two years and find nothing different, but still they continue to run. As Thomas watches them go into the depths of the maze, he can't help but feel as if he should be one of them. Then, one day, when he helps one of his friends out as a Griever is chasing him in the maze, Thomas gets offered the chance he's been waiting for: he's allowed to train as a Runner. Not exactly sure what he's searching for, but glad to begin, Thomas eagerly accepts and begins training, searching for a way out of the endless maze before time runs out. Okay guys, I'll admit. The first few chapters or so of this book seriously got on my nerves. I felt like nothing was happening and it was really confusing because none of the Gladers would elaborate on the world that Thomas had been thrust into, leaving readers just as bewildered as Thomas. But, once Thomas started getting a few answers and some of the lingo was decoded, the story got much better. And on a side note, I don't think that James Dashner has ever truly been on a long run. Because his characters all eat full-blown meals and then go run for hours. I run all the time, and I feel slow and groggy if I eat even 3 or 4 hours before I run, much less 15 minutes before. Or maybe it's just me. Who knows? It just cracked me up a little bit. But, in all seriousness, The Maze Runner was fantastic. After you get past the first few chapters, the story is completely enveloping. I mean, I seriously think I took my copy everywhere I went on Friday and Saturday. It's a good story, and Dashner told it well. The book was very fast-paced and really interesting. And once the action starts (though it does take a couple of chapters to get there,) it never stops! And the ending. Oh. My. Gosh. It left me pretty much begging for the sequel.
" 'We can do it,' she said in a quiet voice. Thomas didn't respond, and for a long time they just sat there, holding hands, no words spoken, in their minds or aloud. He felt the slightest hint of peace, as fleeting as it was, and tried to enjoy it for however long it might last." First I want to say hello and let you know I am your newest follower! I haven't read The Maze Runner but I know it is a super popular series, especially in my school (I teach!). Thanks for your great review-- I often come across a book, want to read it, then get distracted by my overwhelming TBR pile and review requests! So thank you for bringing it back to my attention! BTW, every Monday I post a list of new book, movie, and tv series releases for the week. On my list this week is the prequel to The Maze Runner called The Kill Order. It comes out tomorrow! Anyway, I definitely will be checking back for more of your reviews! 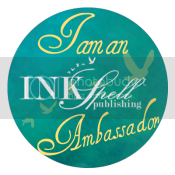 Feel free to stop by my blog sometime! Hey, Mia! Thank you so much for following :) And I know, I definitely get lost in my to-read pile. There are just so many! But The Maze Runner is definitely worth a shot- it's a really good book. Hope you get to read it sometime, it's definitely worth the bump up to the top of the list! Looks interesting! Not the type of book that I normally read though.